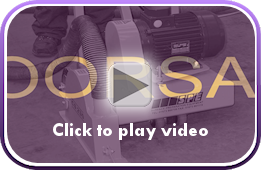 Floorsaws need to be manufactured with the care and consideration of the demanding tasks asked of them. SPE Floorsaws are robust, versatile and safe to operate with quality engineering ensuring a long service life. 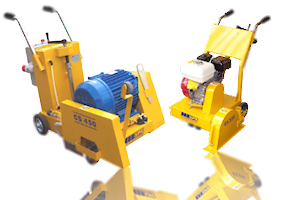 The SPE range of floorsaws have been developed by utilising the many years of experience SPE has aquired in the Surface Preparation Equipment industry. The range is designed using the highest quality materials to ensure a long working life and incorporates a range of cutting depths and motor drives to suit a multitude of applications. Whether joint cutting, chasing or repairing highways, an SPE floorsaw will make sure that the job is done quickly, efficiently and safely. Simple to operate and highly durable - the CS 450 range of SPE floorsaws are ideal for demanding heavy duty applications.